Yesterday, we started the WordPress 5.0 release cycle with an announcement post. It’s a very exciting time to be involved in WordPress, and if you want to help make it the best, now’s an excellent opportunity to jump right in. A critical goal of this release cycle is transparency. As a member of the WordPress 5.0 leadership team, the best way for me to do my job is to get feedback from the wider WordPress community as early, and as quickly as possible. I think I speak for everyone on the leadership team when I say that we all feel the same on this. We want everyone to be able to participate, which will require some cooperation from everyone in the wider WordPress community. The release post was published as soon as it was written, we wanted to get it out quickly, so everyone could be aware of what’s going on. Publishing quickly does mean that we’re still writing the more detailed posts about scope, and timeline, and processes. Instead of publishing a completed plan all at once, we intentionally want to include everyone from the start, and evolve plans as we get feedback. With no other context, the WordPress 5.0 timeline of “release candidate in about a month” would be very short, which is why we’ve waited until Gutenberg had proved itself before setting a timeline. 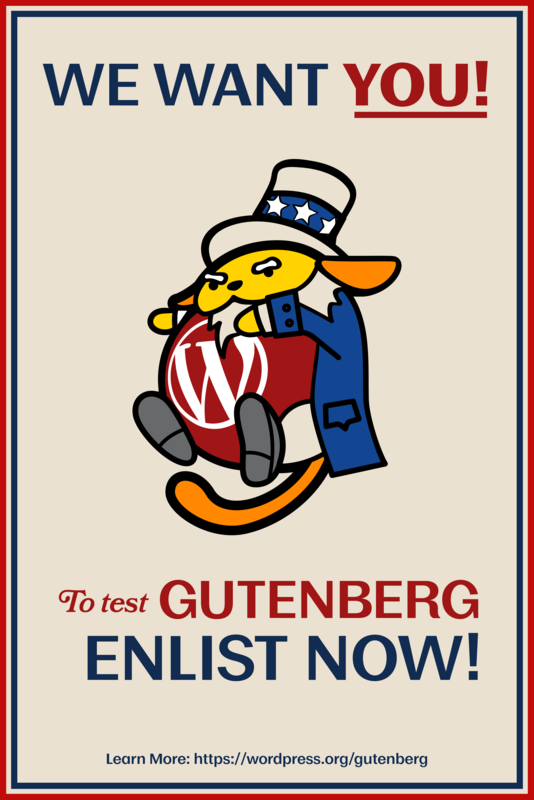 As we mentioned in the post, WordPress 5.0 will be “WordPress 4.9.8 + Gutenberg”. The Gutenberg plugin is running on nearly 500k sites, and WordPress 4.9.8 is running on millions of sites. For comparison, it’s considered a well tested major version if we see 20k installs before the final release date. Gutenberg is a bigger change than we’ve done in the past, so should be held to a higher standard, and I think we can agree that 500k sites is a pretty good test base: it arguably meets, or even exceeds that standard. We can have a release candidate ready in a month. The Gutenberg core team are currently focussed on finishing off the last few features. The Gutenberg plugin has evolved exceedingly quickly thanks to their work, it’s moved so much faster than anything we’ve done in WordPress previously. As we transition to bug fixing, you should expect to see the same rapid improvement. The block editor’s backwards compatibility with the classic editor is important, of course, and the Classic Editor plugin is a part of that: if you have a site that doesn’t yet work with the block editor, please go ahead and install the plugin. I’d be happy to see the Classic Editor plugin getting 10 million or more installs, if people need it. That would both show a clear need for the classic interface to be maintained for a long time, and because it’s the official WordPress plugin for doing it, we can ensure that it’s maintained for as long as it’s needed. This isn’t a new scenario to the WordPress core team, we’ve been backporting security fixes to WordPress 3.7 for years. We’re never going to leave site owners out in the cold there, and exactly the same attitude applies to the Classic Editor plugin. The broader Gutenberg project is a massive change, and WordPress is a big ship to turn. It’s going to take years to make this transition, and it’s okay if WordPress 5.0 isn’t everything for everyone. There’ll be a WordPress 5.1, and 5.2, and 5.3, and so on, the block editor will continue to evolve to work for more and more people. My role in WordPress 5.0 is to “generally shepherd the merge”. I’ve built or guided some of the most complex changes we’ve made in Core in recent years, and they’ve all been successful. I don’t intend to change that record, WordPress 5.0 will only be released when I’m as confident in it as I was for all of those previous projects. WordPress 5.0 isn’t the finish line, it’s the starter pistol. 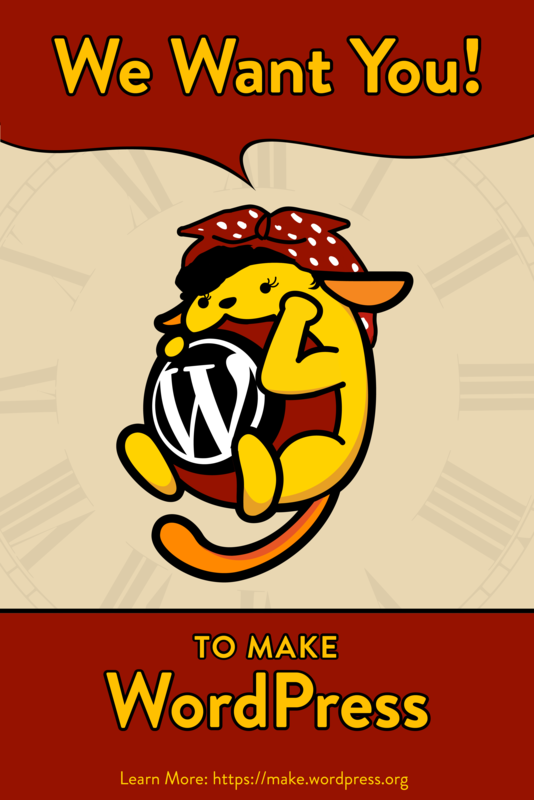 This is a marathon, not a sprint, and the goal is to set WordPress up for the next 15 years of evolution. This can only happen one step at a time though, and the best way to get there will be by working together. We can have disagreements, we can have different priorities, and we can still come together to create the future of WordPress.